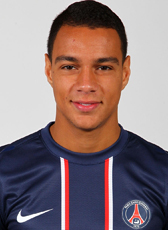 Ajax youth academy product and current international Gregory van der Wiel moved to French giants Paris Saint-Germain at the end of August 2012. The defender signed a 4-year contract until June 2016 for a transferfee of 6M€. Although he was most times not the first choice of the manager, he was a reliable back-up. In four seasons, he managed to play 89 matches in the Ligue 1 and 27 in the Champions League with the French giants. His contract expired in July 2016 and he left the club looking for new opportunities. In July 2016 Van der Wiel moved to Turkey to sign a 4-year contract at Fenerbahce from Istanbul. Although being coached by Dutchman Advocaat, his adventure in Turkey became a failure. Van der Wiel was soon relegated to the Reserves and was given the opportunity to go elsewhere. In August 2017, Italian side Cagliari wanted to give the defender a new chance signing him on a 3-year deal. His Italian adventure ended soon. Playing just 5 matches in the first half of the season, he left the club and moved to Canada. Van der Wiel signed for Toronto FC who play in the 2018 US MLS competition. His contract was not extended for the 2019 season after troubles with his manager. Van der Wiel has left the Canadian club and is looking for new opportunities elsewhere.